Always innovative. Always compact. 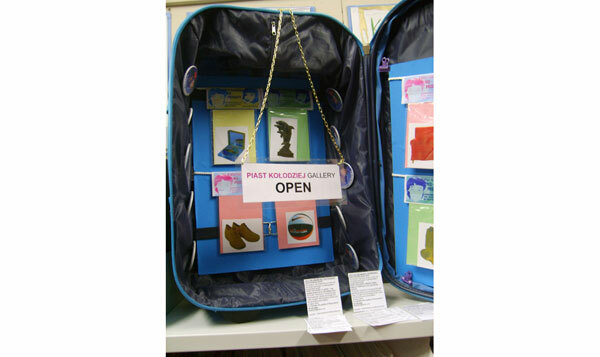 It is the travelling gallery that fits into a suitcase. With work from some of Poland’s ‘finest and brightest’, this season’s exhibits include: ‘Saturday Night, Sunday Morning’, an exploration of hedonism and spirituality through underwear and liturgy, and ‘Dream’, a chance to realize your hopes for the future and have them featured in a work of art. There will also be a number of Piast Art Products for sale. So save your pennies and treat yourself to a real work of art. Plus join Cowboy International members for drinks, drinks, and more drinks!